Hi Folks, I'm Captain Michael Nelson. I was born right here in Grand Haven, Michigan, and have more than 20 years experience fishing on Lake Michigan in all kinds of weather. I am a U.S. Merchant Marine Office, Master of Steam or Motor Vessels of 75 Gross Registered Tons, licensed through the United States Coast Guard, and am also authorized to engage in commercial assistance towing. I am a member of the Michigan Charter Boat Association, a member of the Grand Haven Area Chamber of Commerce, and member of West Michigan tourist Association (WMTA). 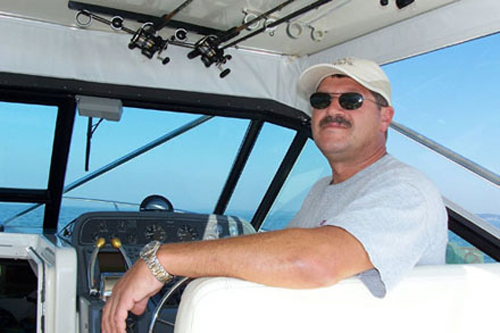 I spend a lot of time on the water to make your fishing trip enjoyable. Third Wish is fully insured and inspected by the Department of Natural Resources. 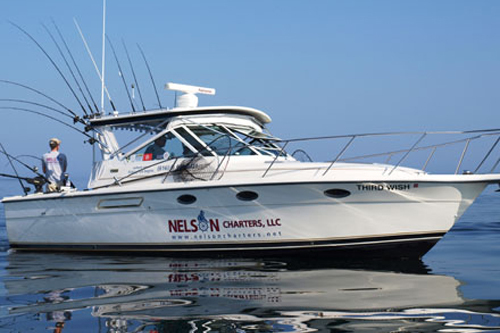 She is also fully equipped to make your fishing trip a success. Come and enjoy the comfort of Third Wish and have a great time.